Can a live action cartoon be watchable? 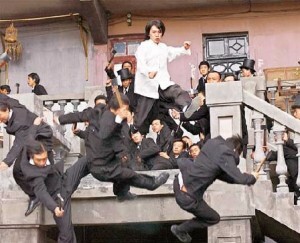 During a recent viewing of the insufferable Kung Fu Hustle, I was struck not by the plotlessness, the odd and meaningless insertions of homophobia (one character is continuously ridiculed for being a “fairy,” each time they call him that he does a little dance and exits frame, nothing ever comes of it), or the complete lack of tonal control (why, in the middle of a goofy comedy, is everything so strangely mean spirited, how many scenes do we need where a child is beaten up and then peed on? ), but by the fact that I couldn’t have cared less what was going on. Now granted, this is a silly comedy, and you’re just there to laugh, and in this case, marvel at the myriad of creative CGI and fight sequences. But though writer/director/star Stephen Chow obviously intended for the movie not to be taken seriously, just as something inventively moronic, he underestimated one of the problems that he intentionally designed. 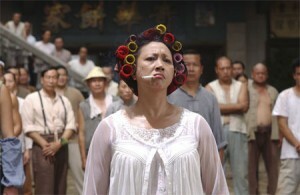 In the world of Kung Fu Hustle, there are no rules. Some characters cannot be killed. Some can fly. Some can run really fast. Some can withstand ridiculous punishment. Some can bend time and space. Etc. In an actual animated cartoon, these things are taken for granted, that anything is possible and the humor is literally not having any limit on what might happen next. I submit that this does not work in a live action film. Once you see human figures in human form, the notion that there is no consequence to anything going on and no limits to our understanding of this particular world we are viewing, the film becomes impossible to identify with on any level. I don’t think this is a result of aging, for I can see and appreciate the nonsense inherent in the childlike worlds of Transporter 2 and the first two Spy Kids films, in which there aren’t any boundaries to the imagination. But the difference is that there are established ideas of how the world within these films works, and still a minimal resemblance to how we understand our own laws of gravity, reality, etc. So can a live action movie exist as a cartoon, without obeying its own internal logic, and still work? 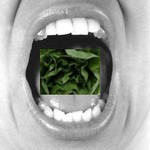 This entry was posted on Wednesday, January 21st, 2009 at 10:04 pm	and is filed under Action/Adventure, Comedy. You can follow any responses to this entry through the RSS 2.0 feed. You can leave a response, or trackback from your own site.